It is prohibited for a gentile to study Torah, and if he does so, he is [deserving of death] (see Sanhedrin 59a). A Jew is not allowed to teach him Torah, so as not to be the vehicle by which the gentile sins. What, then, is being added to this ruling in our Gemara from the verse in Tehillim? According to ” ז ט we can say that the study of Torah which is prohibited for a gentile is the in-depth and careful study of its profundities. This includes the intricate aspects of Torah taught by Moshe to the Jewish people. However, the study of a simple listing of guidelines of Jewish law and general halachos would not cause a gentile to be liable for death. A Jew is, therefore, not in violation of עור לפני for exposing a gentile to such information. Our Gemara teaches that this is still prohibited, nevertheless, based upon the verse in Tehillim. Disclaimer: I suspect I may be misunderstanding the above-quoted text and it’s source. If anyone can offer clarification, I’d appreciate it. I can only base the following on my current understanding. I suppose I take it for granted that I can read and study my Bible. I also take it for granted that all of the contents of the Bible, including the Apostolic Scriptures, are Jewish books, written by Jewish authors for Jewish readers. It was only with the advent of the New Covenant era which has yet to actually arrive, that large numbers of Gentiles were taught the Jewish scriptures as part of the grafted-in population of non-Jews into the First Century C.E. Jewish religious stream originally known as “the Way”. I interpret this rather cryptic verse to mean that the Gentiles, though by legal decision (Acts 15) obligated to observe only a subset of the full yoke of Torah incumbent on a Jewish disciple, were nevertheless to hear Torah read in the synagogue on Shabbat and most likely to learn and study Torah with their Jewish teachers and mentors. Such an informational background would be absolutely necessary if the Gentiles, especially those recently having been pagans (as opposed to the God-fearing Gentiles who regularly attended shul) were to make any sense at all of the teachings of the Master and to comprehend how the New Covenant blessings allow for the redemption of the people of the nations through God’s redemption of all of Israel. But of course something happened between then and now. Gentile Christianity was formed out of the bosom of the early Jewish Messianic movement and proceeded, due to many events and circumstances, to remove itself from having anything to do with Judaism. I’ve said before that the actions and mistakes made by the first Gentile Christians in the Second and Third Centuries have been carried down in some manner or fashion into the current Church such that “studying Torah” is not on any believer’s radar (although there are exceptions which I will address presently). No doubt a great deal of apprehension and even fear among Jewish people has been inspired by the decidedly nasty behavior of the Church toward the Synagogue over the long centuries, and has only been softened quite recently due to Hitler’s Holocaust. When I first read this story I thought it seemed ridiculous that homicide would be the only or primary motivation of a Gentile to desire Jewish learning. But apparently the fear originated somewhere and resulted in essentially blocking off any non-Jews from more than a superficial level of Torah study unless that Gentile person’s intent was to convert to Judaism. This doesn’t seem very applicable today, though. I can go online and order any Jewish book that’s available for purchase from any number of Jewish or non-Jewish sellers. I can even order all manner of Judaica online including tefillin and a tallit and no one is going to require that I prove that I’m Jewish (which I’m not). Of course, accessing a knowledgable and authentic Torah scholar from which to learn and study might be a bit of a chore, especially within Orthodox Judaism, but on the other hand, I could take online classes through organizations such as the Messianic Jewish Theological Institute, and as far as I know, there’s no restriction on any class based solely on being Jewish or Gentile. I really doubt there’s much of a chance that someone like me studying Torah, in whatever manner I’m able, will result in any physical (or any other kind of) harm coming to a Jewish person. This statement assumes that the hypothetical homicidal Gentile being discussed not only appeared learned in Torah but that, based on a different Gemara, he could be mistaken for a Jew because he was wearing “techeiles” (which is the blue coloring originally commanded [Numbers 15:37-41] that Bnei Yisrael wear as a thread among the tzitzit on the four corners of their clothing). I have to assume that “techeiles” is another way of saying tzitzit in this instance, thus it is not only forbidden to teach a Gentile Torah but to sell him tzitzit (in modern times, probably a tallit with the tzitzit attached) as well for the sake of Jewish safety. 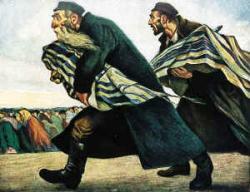 While in the modern era, it seems highly improbable that a Gentile would study Torah and wear tzitzit for the express purpose of waylaying and murdering a Jew for his possessions, that fear originated somewhere at some time in the past and I don’t doubt that such an apprehension “echoes” across the corridors of history and into the present day. 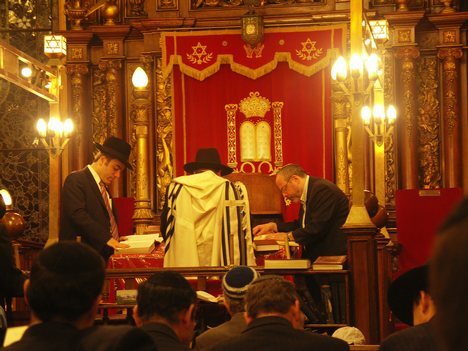 Ten years ago, I was sitting in our local Conservative/Reform synagogue on Shabbat. Mel Gibson’s film Passion of the Christ (2004) was about to be released in theaters across the U.S., and in the discussion was a very real fear of the consequences. Historically, after every passion play, there is a pogrom, and although our little corner of Idaho generally doesn’t see a great deal of anti-Semitism, a shared cultural and genetic fear rapidly filled the room. While at least locally, nothing happened and the film came and went, that fear comes from somewhere and it persists. Ever since there have been Jews or Israelites or Hebrews, the rest of the world has been trying to kill them. Two-thousand years ago, the Apostle Paul was actively recruiting Gentiles to enter into and participate in Jewish communal and religious space as co-equals and participants in the benefits of the New Covenant blessings, however, he received a great deal of pushback from Jewish communities and community leaders, even to the point of Paul suffering injury and risking death. And yet, there were synagogues from Syrian Antioch to Rome where Jews and Gentiles co-mingled in relative peace, studying, worshiping, and associating together, and at least for at time, it seemed to work out. But not in the long run. The history would take too long to relate, but the net result is that Jews learned to distrust the Gentile Christians along with all of the other Gentiles in the diaspora, and Gentile Christians for their (our) part, learned to distrust Jewish people. Hence rulings were issued such as it being forbidden to sell Jewish books and to teach Torah to a Gentile, and the seemingly irrational fear that a Gentile would leverage Jewish learning and a Jewish appearance to do harm to a Jew. But now we have something interesting going on. A significant minority population of Gentile Christians are experiencing a renewed interest in Judaism, specifically Messianic Judaism. On the surface, the Messianic Jewish movement seems to be an attempt to do what Paul was trying to do; to bring Gentiles into Jewish community for the mutual study of Torah and the mutual worship of God through faith in the work of Messiah Yeshua (Christ Jesus). But that’s not exactly what’s happening. In the days of Paul, the Way was one of many Judaisms in ancient Judea and the diaspora nations, and if Gentiles wanted to join, they had to accept Jewish authority in the synagogue. Gentiles, by definition, were the learners since all knowledge of Messiah was Jewish knowledge. Gentiles were present in Jewish community by the invitation of the Jewish community, and that community defined Gentile legal status and all of the requirements for Gentile entry and participation. Modern Messianic Judaism, given the past two-thousand years, is not an attempt to re-create the “churches” of Paul. Gentiles have plenty of Christian Churches and a long and rich tradition to draw from. Jewish people discovering the revelation of the identity of Messiah are attempting to maintain Jewish space and community and to carve out a niche for themselves in larger Jewry, one that allows for a fully experienced and realized Jewish lifestyle that acknowledges Messiah as mediator of the New Covenant God (Hebrews 9:15) made with the House of Israel and the House of Judah (Jeremiah 31:31). And as I said above, a significant portion of Gentiles are leaving churches and are fascinated with a wholly culturally and religious Jewish take on who Jesus is and what it really means to be a disciple of the King of the Jews. Do you see how confusing this could get (and has gotten)? Jews who don’t want to convert to Christianity and abandon what it is to be a Jew are attempting to develop Jewish communities for Jews in Messiah, but the Gentiles are knocking at the door asking (and sometimes demanding) to be let in and to study Torah. At some visceral level, I can see the old fears kicking in among the Messianic Jews. Can they be a Jewish community if Gentiles are present? What other motivation could some of these Gentiles have for wanting entry? Even if those fears don’t appear rational to the rest of us, it’s possible the fear, or at least some degree of apprehension, is still there and feels very real. I don’t know any of this as absolute fact, but I find myself wondering if Jewish opposition to Gentile participation in the larger body of the mitzvot up to and including donning a tallit, laying tefillin, davening with a siddur, and the rest of those behaviors that make a person look “Jewish” (whether they are or not), might have something to do with the same spirit that inspired Chagiga 13? I don’t know. But if there’s even a hint of that historical fear incorporated in the desire for modern Messianic Jews to have exclusively Jewish community, then we “Messianic Gentiles” might want to take another look at what we’re doing and why we’re doing it. I’m not saying it should be forbidden for Gentiles to study Torah. Far from it. I’m not saying that all Gentiles should be forbidden from having community with Messianic Jews. Far from it. I’m just saying that we should wait for an invitation to enter someone else’s house. You’re probably reading this “meditation” in the “space” between Rosh Hashanah and Yom Kippur, that very critical ten day period in Judaism when many observant Jews are attempting to shift the scales of God’s justice toward mercy. It’s also the time when the new year is unfolded before us all shiny, new, and full of potential. After Yom Kippur is Sukkot, then Shmini Atzeret, Simchat Torah, and a new Torah cycle begins on October 18th. There have been a number of changes in my life that occurred rather abruptly and I’m looking forward to pursuing my studies with renewed zeal and anticipation. Who I study with and how we pursue the Bible and the presence of God, I don’t know yet (as I write this). As with the other changes I’ve experienced like this one, I’ll wait and see what God has in mind. Addendum: Having written all this, I find that Rabbi Dr. Stuart Dauermann’s FAQ called Responding to Some Questions About Messianic Jews and Torah does an excellent job of addressing matters of Torah for the Messianic Jew. I highly recommend it. At least one aspect of a Jewish concern that teaching Torah to gentiles or selling Jewish books and so on could be quite literally dangerous would be that Jewish practice was largely outlawed. In some situations, the ban was complete. In other cases, there would be a prescribed place, places (or ghettos), where learning and culture to an extent could happen. Step outside of your allotted zone, or pass on knowledge to the wrong person, and the law (not Law) would come down on you. I can easily imagine there would at times be snares set in disrespect. Tractate Chagiga in Daf 13a is in the middle of a multi page discussion about limiting the transmission of mystical teachings (Ma’aseh Bereishit and Ma’aseh Merkavah.) The verse in Ps 147 is interpreted, as you have said, as restricting in-depth teaching to נכרי, to non-Jewish foreigners. Better late than never, Drake. Mel Gibson turned out to be a scary person himself, not just with the movie. And disgraced among people who care about decency. Cynthia, one of the points I was trying to get across was that some Messianic Jews may have a reason for appearing rather ethnocentric. Christian churches can be just as cliquish and different branches of Judaism can tend to be restrictive relative to each other as well. You can say we are one in Yeshua, but the fact remains that the body of believers is highly fractured. Ultimately, those fractures will be healed when Messiah returns, but as I said in my blog post, before entering someone else’s house, I’d like an invitation. There are Messianic congregations that readily accept Gentile guests and members, but there are some Messianic Jewish communities that, out of a sense of needing Jewish community in Messiah, which has a lot of trapdoors attached to it, need to sometimes create barriers to Gentiles you won’t find even among many non-Messianic Jewish synagogues. @Cynthia — You might consider that there are multiple reasons for representatives of an MJ shul to ask if someone requesting to attend services at that shul were “raised Jewish”, having nothing to do with any notion of “accepting gentile money”. It is a question whose answer may reveal whether the potential attendee(s) might be expecting to find something different than what actually will be encountered. I don’t think you will find MJs anywhere “hiding their light under a bushel-basket” (so to speak), but you may well find caution not to “cast pearls before swine” and to be “wise as serpents though innocent as doves”. At times, an unguarded “open door” policy is not the best policy. There is a point that very few Christians want to see, and even fewer Jews would admit to, but I have been told by Messianic Jews that Gentiles that are grafted into the rootstock of Israel in Yehoshua are already Jewish…a spiritual rebirth into the entirety of what Israel will be in the Kingdom. It is well for those born into the Mosaic Covenant to worship together, and maintain their seperateness…it was given to them by G-d to separate them out from the nations. But if Gentiles are grafted in to the New Covenant, it behooves us to learn and keep Torah, whether we are mixed into any Covenant born Messianic Jewish congregation, or stand in a synagogue of our own. When we are serious about taking up full obedience to the Written Torah, even though we may not take on the outward appearance, customs, and traditions of Covenant abiding Messianic Jews, one can at least hope that fellowship might be extended in hospitality when our sincerity and Torah Obedience is seen. It is, after all written, that the nations will make those born of the Covenant jealous. 11 For the passage quoted says that everyone who rests his trust on him will not be humiliated. 13 since everyone who calls on the name of Adonai will be delivered. 14 But how can they call on someone if they haven’t trusted in him? And how can they trust in someone if they haven’t heard about him? And how can they hear about someone if no one is proclaiming him? @Questor — I don’t know anything about the purported MJs who told you that gentile disciples are grafted into the rootstock of Israel via Rav Yeshua and are therefore already Jewish, nor do I know if you actually understood at all accurately what they might have said; but I can state unequivocally that the grafting process envisioned in Rav Shaul’s olive tree metaphor does not make Jews out of gentiles. Even metaphorical “sons of Abraham” who reflect his degree of faith, such as Rav Shaul referenced in Gal.3, are not sons of Isaac or Jacob. Some rabbinic opinion likens Christians to Esau — and thereby they might be viewed in some sense even to be sons of Isaac; but that also doesn’t make them Jews or even Jew-ish. Usually these references invoke the enmity and jealously expressed by Esau for Jacob, so it is not exactly a positive view that Christians should be anxious to claim. James and I have previously discussed in comments for one or another of his blog essays the view that the olive tree represents “the community of faith” — which was at one time solely Jewish but has now come to include faith-filled gentiles in addition to its native Jewish branches. It is not a covenant into which non-Jews are grafted, neither an old one or a new one. Non-Jews who have become “born from above” (another metaphor worthy of some discussion) may benefit from close association with the Torah principles of either approach to the covenant, without benefit of a covenantal contract but solely because of HaShem’s graciousness. Fellowship with the Jewish members of the covenant(s) must be based on their “cleansed” status (a la Kefa’s sheet vision), but its hospitality may be constrained in the present day by the need to avoid overwhelming or damaging the presently delicate damaged state of Jewish identity that has been under attack for centuries and is in need of recovery, especially among MJs. More to the point, gentile disciples need to consider how they may best accomplish the admirable goal of provoking zealousness for Torah (and for HaShem) among Jews (as distinct from “jealousy” of whatever gentiles may seem to have). Just a couple of things, Questor. Just exactly what we are grafted into is up for discussion, and depending on the answer, many things may appear differently. I’ll attempt to address this question next week in part 2 of my “reflection” on Romans 11. As far as Gentile Torah obedience is concerned, the key to understanding this isn’t in the Sinai Covenant but in Acts 15. That’s where the Jewish Council of Apostles and Elders had to render a legal decision regarding just how we Gentiles fit into a Jewish religious stream that is summoning the New Covenant into our world. The fact that Gentiles can receive the Holy Spirit in the same way as the Jews is a sign of New Covenant times and could not have occurred prior to Messiah, the mediator of the New Covenant, inaugurating said-covenant, though it won’t arrive in full until the resurrection and the return of Messiah. The word translated as “jealous” can also mean “zealous,” and just as the non-believing Jews were zealous for the Torah, Paul wanted them to be zealous for Messiah, for as we have seen, Paul saw a close linking between zeal for Torah and faith in the work of the Messiah, who brings the good news that the promises of God’s New Covenant are true as proven by the resurrection and the giving of the Holy Spirit to the Jews and even to the Gentiles who have believed. -from Reflections on Romans 10. For more on this topic, read Provoking Zealousness. As far as Jews and Gentiles being equal in Messiah, I agree, but equality does not mean uniformity. We may be equal in God’s love, in receiving the blessings of the New Covenant, such as the Holy Spirit and the eventual resurrection, but it doesn’t mean that all Jews and all Gentiles in Messiah are identical “widgets”. As Gentiles, we can be grafted into the blessings of the New Covenant through God’s promise to Abraham that he would be the father of many nations and that all the world would be blessed by his “seed” (Messiah), but we have no connection at all to the Sinai covenant which defines an exclusive relationship between Israel (that is, the Jewish people) and God. It is the same use of the term in Isaiah 56 (נכר), where gentile foreigners are holding fast to the covenant and keeping the Torah. Which is probably the most detailed scriptures on gentile Torah observance… especially in regard to gentile foreigners, outside of the community of Israel and the land. As I understand it, in Tractate Chagiga Daf 13a, the נכר or nekar, the non-Jewish alien, is prohibited from in-depth learning of Torah based on the circumstances I recording on this blog post. Depending on the translation, in Isaiah 53:3 and 53:6 the phrase is translated as “foreigner” or “son of the foreigner”. Obviously the latter puts a sort of spin on the meaning, since in the days of Moses, a foreigner could swear allegiance to the God of Israel, the Israelite people, and even a particular tribe. But he was still considered a foreigner and not Israel. Only his or her offspring after the third generation assimilated into Israel and the bloodline of that person’s descendants were no longer considered Gentile. For a long time, I have felt this example from Torah and the Prophets was an uneven fit to modern One Law advocates, since in their original form, they always intended on eventual assimilation into Israel and the abandonment of Gentile identity. By definition, One Law advocates for the Gentile and all their descendants to remain Gentile, even as they believe they are obligated to the 613 mitzvot in a manner identical to the Jewish people. But then again, this is a “rabbit trail,” since arguing the relative merits of One Law/One Torah vs. a differentiated set of obligations between Jews and Gentiles in Messiah wasn’t my main point. I’m seeking to illustrate why at least some Messianic Jewish communities might desire to remain primarily or completely Jewish given the backdrop of Jewish history and Christian persecution of the Jews. Obviously the latter puts a sort of spin on the meaning, since in the days of Moses, a foreigner could swear allegiance to the God of Israel, the Israelite people, and even a particular tribe. But he was still considered a foreigner and not Israel. Only his or her offspring after the third generation assimilated into Israel and the bloodline of that person’s descendants were no longer considered Gentile. There is a difference between the נכר and the גר, what you are describing is the ger, the word being used in the tractate as you said above and Isaiah 56 is נכר. These are not the same words and imply different meanings. By definition, One Law advocates for the Gentile and all their descendants to remain Gentile, even as they believe they are obligated to the 613 mitzvot in a manner identical to the Jewish people. Right we do believe in maintaining our gentile identity, for the sake of testimony and for the sake of reality. But, we don’t consider ourselves ger’s, that is only for example purposes, that would be an anachronism. If anything we are considered נכר, as described in Isaiah 56, but more so, as Paul describes in Ephesians 2, we have a greater status than the ger. It would be interesting to consider what James considered the Gentile disciples when he issued his ruling in Acts 15, Zion. Also, if the word “neker” is used to describe Gentiles who are observing some portions of the Torah (Sabbath, for instance), then I’d have to agree the example of the “ger” from the Torah is less to not at all relevant to the One Law argument. One Law, takes Acts 15 into account, we see no conflict with that and Isaiah 56, or our understanding of gentile Torah observance. As for the ger, it is not irrelevant, it is an example, we use examples all the time to grasp a better understanding of relationship, and in this particular case, it is an example of how gentiles, during the era of Biblical Judaism, related to the Torah… We can gain insight as to how in some ways it might apply today, but knowing we have a greater status, than that of a ger, it should not be looked to, as a full understanding of gentile relationship. We both knew we’d disagree here, so no surprises. The neker seems to be the more relevant role of Gentiles in Messiah as I see James’s and the Council’s point of view in Acts 15. My opinion is that they never envisioned the Gentiles becoming identical to Jewish Messianics in appearance and behaviorally and did distinguish between Jewish and Gentile roles in obligatory service to God. They were, of course, considered equal in God’s love, in the receiving of the Holy Spirit, in the resurrection, and the promise of life in the world to come. In Paul’s day, the Gentile disciples were probably more behaviorally similar to their Jewish mentors since they were all in the same synagogues, at least in communities with significant Jewish populations such as Antioch or Rome. I think there was a struggle in integrating Gentiles as co-equal participants in Jewish communal life after such a lengthy period of prejudice against Gentiles (thanks to the occupation of the Romans and the Greeks). If the schism between Jewish and Gentile believers hadn’t occurred, Gentiles might still be worshiping the God of Israel in Jewish synagogues and “the Way” might be considered a Judaism alongside Orthodox, Conservative, and Reform movements, but then, I suspect there would be relatively few Gentiles involved. The good/bad part about the Gentiles splitting off and inventing what we consider “Christianity” is that it allowed vastly larger numbers of Gentiles to join worldwide, while unfortunately, alienating Christianity and Judaism from each other. This is what makes Messianic Judaism and the social integration of Jews and Gentiles so difficult to operationalize today. I think it’s one reason we have largely to exclusively Gentile One Law communities as an attempt to integrate a form of Torah observance back into Gentile religious practice without necessarily bringing in Judaism. My opinion is that they never envisioned the Gentiles becoming identical to Jewish Messianics in appearance and behaviorally and did distinguish between Jewish and Gentile roles in obligatory service to God. I think non-Jewish believers serve God in many ways, some of those ways may not be available to Jewish people, believers or otherwise. I think the issue of distinctions gets brought up so much because from some Messianic Jewish people’s point of view, it is totally disregarded. Imagine if a husband were to completely disregard his wife as distinct from himself. It might cause the woman to “push back” against her husband to get him to notice and acknowledge said-distinctions. In other Messianic synagogues where both the Jewish and Gentile populations share a singular perspective on the matter, I suspect it’s not a point of contention. I don’t have a problem with Gentiles observing Shabbat or “going above and beyond” and taking on board additional mitzvot, I just don’t think they/we are obligated to those mitzvot in the manner of the Jewish people (and I’ve said all this many times before). I suspect that if my wife started keeping a strict Shabbat and kashered our kitchen, that my behavior around all of that would change significantly, but then again, we live together so how could it not? Issues between Jews and Gentiles in Messiah have existed since the days of Paul and I believe they will continue to exist because we are imperfect people attempting to obey God out of our imperfections. It’s what the High Holidays are all about, appealing to God in His mercy because even though we don’t want to, we sin against Him and against each other. Once Messiah comes again, as the mediator of the New Covenant, our hearts will be changed as well as our spirits, and we will all more naturally obey God, with His Word written on our hearts rather than on scrolls or tablets. I suppose the resolution to our current debates will become readily accessible soon afterward. Imagine if a husband were to completely disregard his wife as distinct from himself. But then you are violating distinctions, according to some, where they would argue, “not only are gentiles not required”, but to do so, is a violation of distinction, forget an option. I on the other hand, believe gentiles who are in the Messiah have a covenant obligation to keep God’s commandments, and should do so, and I believe Isaiah 56 is one excellent example of validating that point, but I know we disagree here. I am completely in agreement with you here. Let me toss in a linguistic clarification, here. The idiomatic Hebrew term “b’nei nechar” (lit. “sons of foreignness”) is comparable to “b’nei Yisrael” (“sons of Israel”). Neither is intended to be translated literally except in rare circumstances. Hence, the term “b’nei nechar” simply means “foreigners” in exactly the same way that the term “b’nei Yisrael” means “Israelites” or Jews. It does not invoke any rules similar to those of the “ger” whose offspring might be absorbed into the Israeli peoplehood. The term “nochri” is another reference to the individual foreigner, as distinct from the generic term for foreigners in the aggregate. 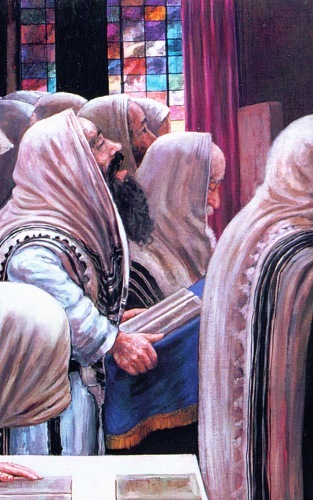 Foreigners who “take hold of” HaShem’s covenant in the Is.56 sense are much like those in Zech.8:23 who “grab ahold” of a Jew’s tzitzit to request that they might accompany the people with whom HaShem may be found. It is not clear in the Is.56 text whether there may exist some difference in the manner by which a “nochri” guards the Shabbat and the specific mitzvot by which Jews do so. The determination of such differences is by means of oral Torah, which is to say by means of rabbinic interpretations recorded later in Talmud in the same manner as the summarizing of rules for b’nei Noa’h (i.e., Noahide laws). Hence, a foreigner who voluntarily goes above and beyond any legal requirements or expectations (limited in Acts 15 to only four principles) in order to honor the Shabbat may be expected nonetheless to be distinguishable from a Jew who keeps it per Jewish requirements.